Re: Flora Spoilage If you do something in cooking you can get the spoilage to be changed. There is a dried mushroom recipe that was merged into the BAC project. As for in the flora creation for a "raw" mushroom I haven't heard of it. Im inclined to think its not a controllable parameter at this point. 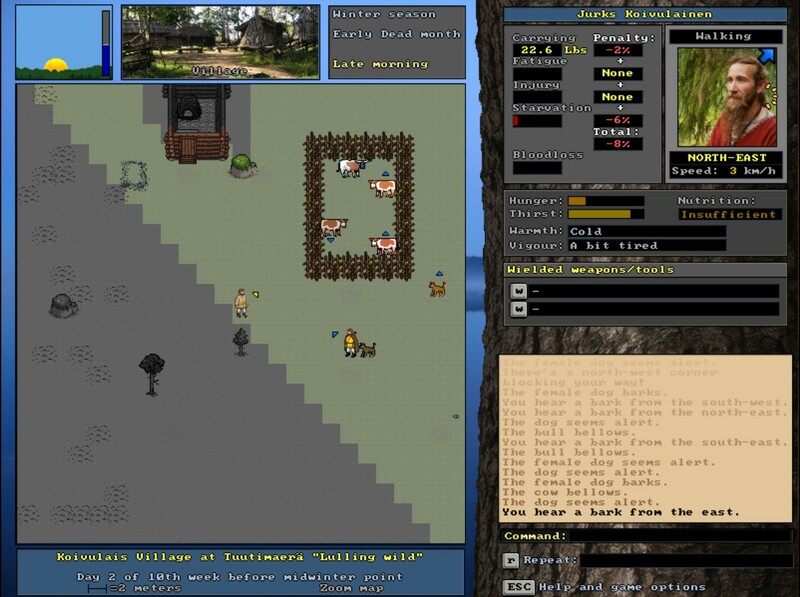 [Diary entry] Skiing and tracking I guess we haven't seen any lynx related dev's diary entries here at the new forums. The old forums surely had some. So, how about a little picture story from the real world adventures of unreal world developer - with a lynx involved. 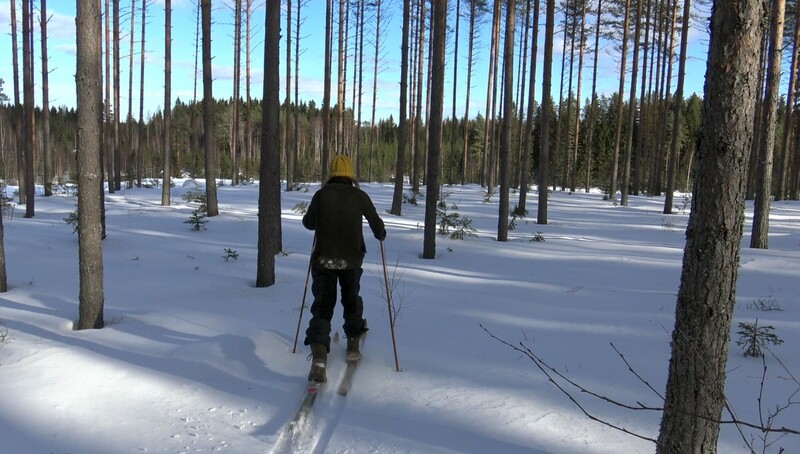 I went skiing the other day, and the ski trip then turned into a tracking exercise. 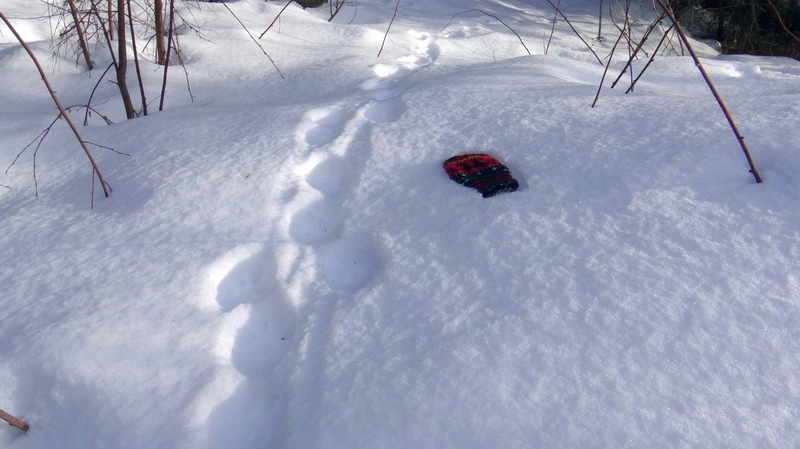 Soon after entering the forest I spotted some lynx tracks, but our paths then departed as I went about my own trails. 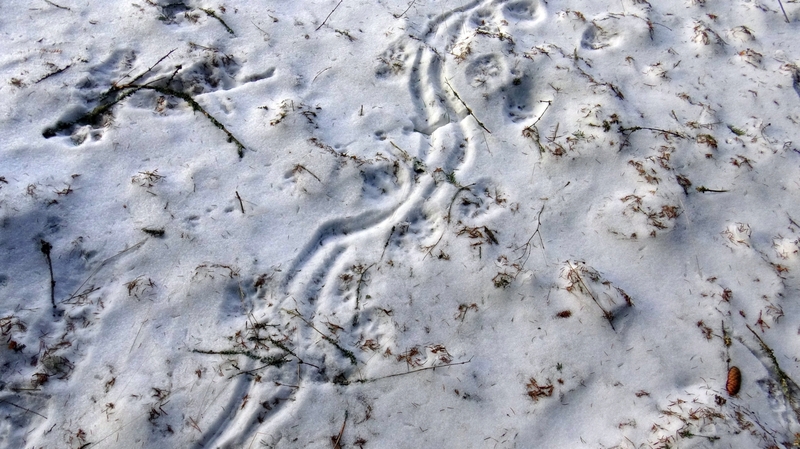 Later, when returning home, strange curly tracks caught my attention - and sparkled my tracking instinct. I guessed that this might be the same lynx now dragging its kill, and had to confirm the theory. I scouted the area, found lots of hare tracks, and then the lynx tracks which eventually turned into sneaking tracks as it approached the location. The hare's last dance with the lynx went to many directions until finally the place where it ended was found, with some hair and (not too old) bloodscape. 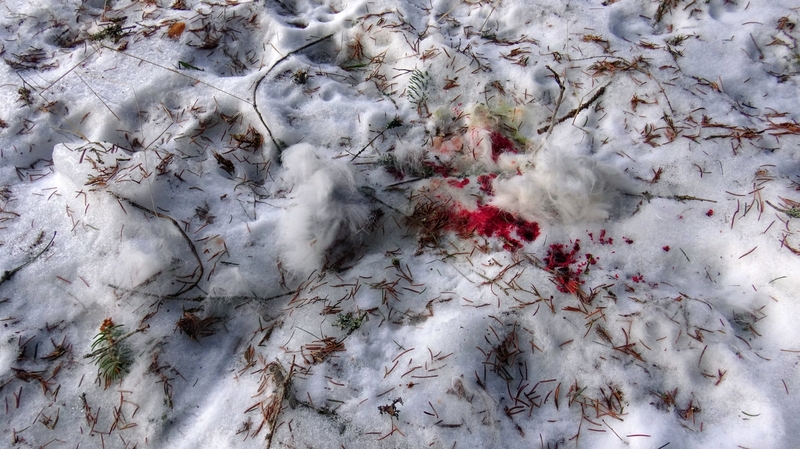 There, the lynx had dragged its kill to a more peaceful location for eating it. That was some twenty meters away, among thick young spruce trees. Not much was left of the hare, but a few hairy bits on the snow. 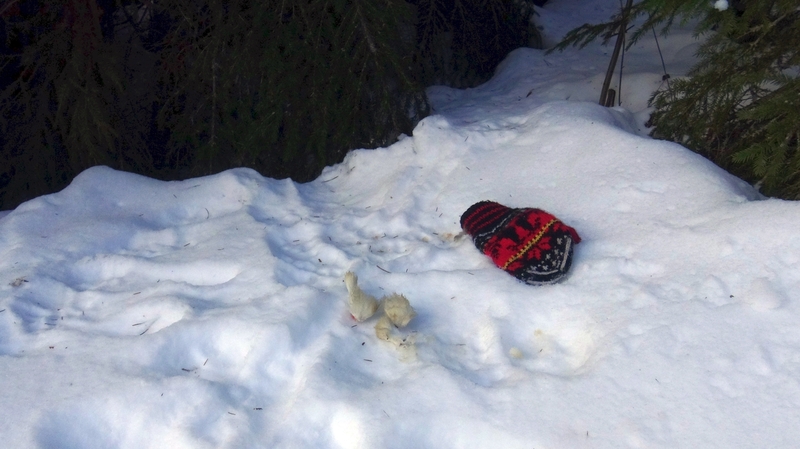 Afterwards, I had to search for my backpack for half an hour as I had left it somewhere on the snow in excitement. I enjoyed the day and I hope you enjoyed this first, but hopefully not the last lynx related diary entry at these new forums. Colorful domestic animal summary A little summary of the latest future additions with screenshots. We'll be seeing wandering NPC woodsmen and adventurers occasionally having dog companions with them in the wild. You may ask, is it just me or are the two dogs of different color? Nothing wrong with your eyes, they are different color, and so are the cows in the pen also - if you look closely. See, as another new addition all the domestic animals may have subtle varieties in their coat colors now. This adds some flavour to the game world, but also makes it easier to distinguish different colored pets from each others just by their looks. Lets end the briefing with some pigs showing off their new varying coat colors. These are future features, not yet functional in current version 3.52. Wits for wandering NPCs and companions - the future version focus Things have been cooking and development has evolved up to such an extent where a sneak peek of what to expect in the future is in place. We don't have a deadline for the upcoming release, it's a work in progress, but we do know what the core content will be about. 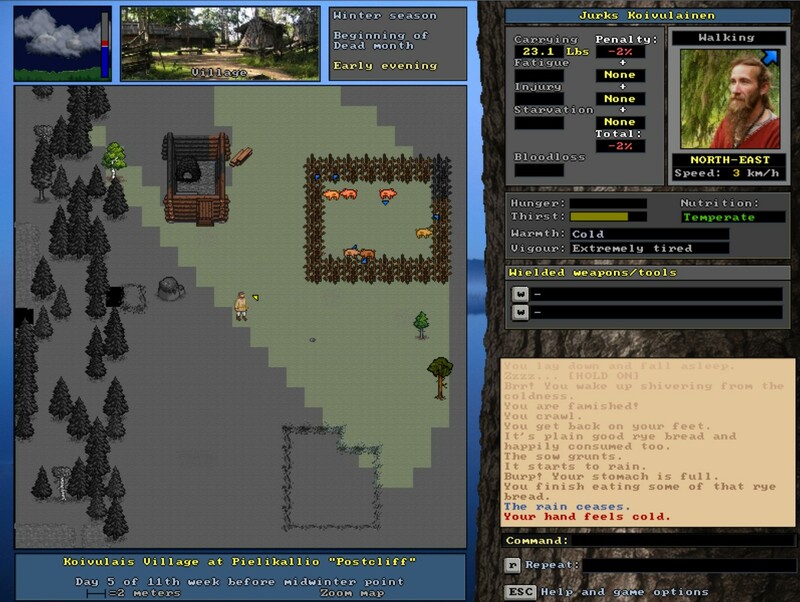 The core content of the next release will focus on NPCs. The most important additions will concern the wandering woodsmen you may meet in the wild and the companions you can hire for yourself. They'll be given a bit more wits, tasks, and meaning for their existence in the game world as follows. 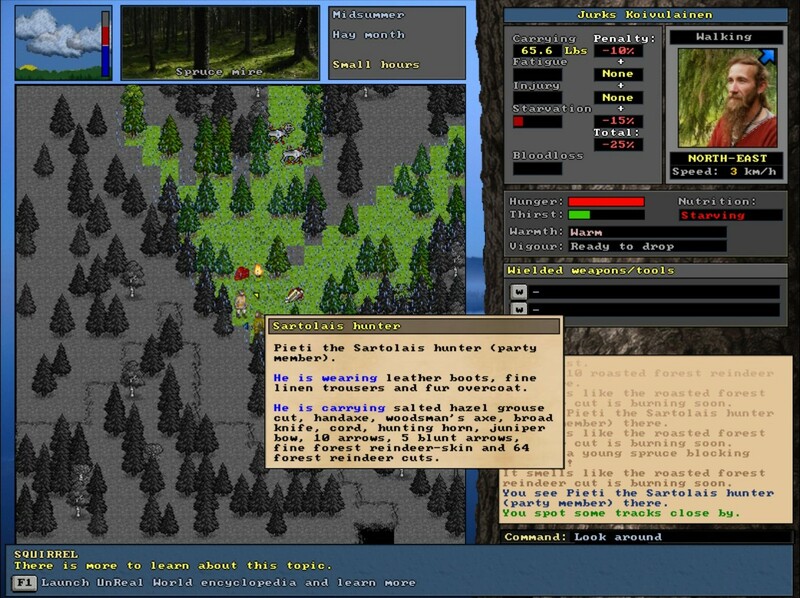 NPCs who roam the woods can now actively hunt animals. They seek the game based on their cultural preferences, and within their hunting possibilities. The very act of NPCs hunting, or running after a game, is probably rarely witnessed by the player character but bones and remains found in the woods can now tell a story of another human hunter at the area. As we know, the hunts can end in unimaginable ways, so many different scenarios may arise from the NPCs now taking their chances with the wildlife - and occasionally maybe even the very same wildlife that you were after. Witnessing an NPC hunting scene. Seal-tribe woodsman has been met in the wild, and he's busy trying to shoot down a squirrel. ...and the list is likely to grow with a few more crucial tasks. 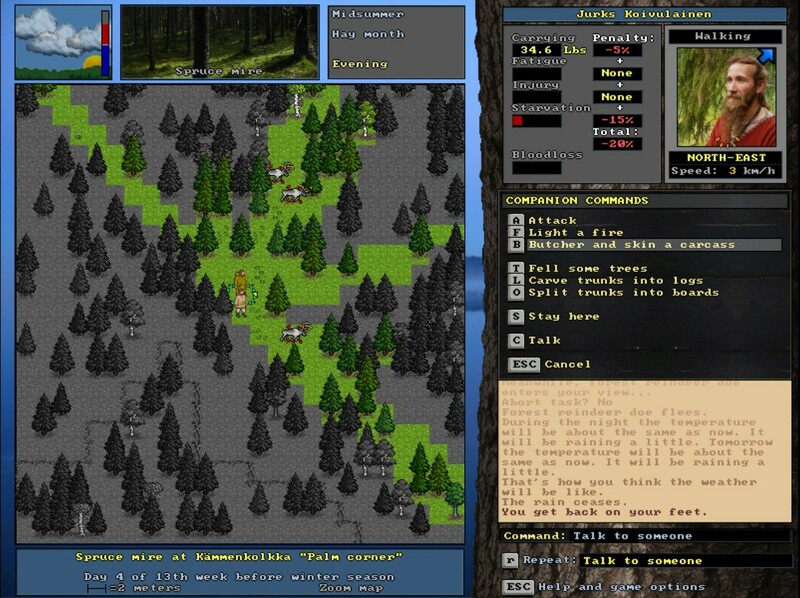 There's a great level of complexity to make companions proceed these tasks with similar detail than the player character so tasks to be added are prioritized with the quality over quantity. 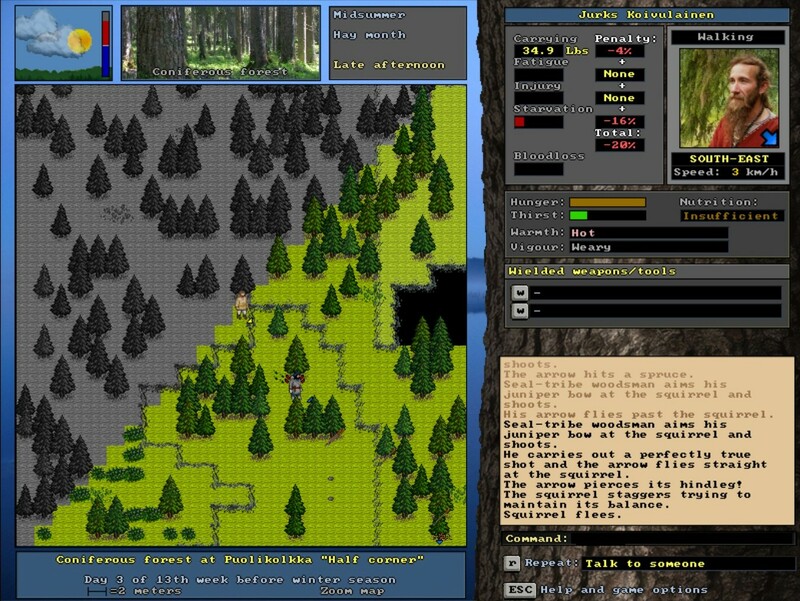 As companion skills naturally affect to outcome of the tasks their expertise can be sometimes used to obtain higher quality goods than what the player characters could produce by themselves. We also need to add an chat option to ask NPCs about their general skills and expertise so you know what kind of craftsman you've hired. The companion was commanded to butcher and skin one of the reindeers we managed to hunt down. We got meat now, and a fine reindeer skin, which is way better hideworking result than what Jurks could have done in his current condition. The work continues, more is to follow. These are future additions - not yet functional in current version 3.52.